Starting March 30, Delta Air Lines and Virgin Atlantic Airways will operate nine daily nonstop flights between New York-JFK and London-Heathrow, with departures from JFK every 30 minutes during the evening peak period and then hourly until 10:30 p.m. The airlines will operate seven daily flights from Heathrow to JFK, including two late afternoon and early evening departures. These services will be complemented by two daily nonstop flights between New York’s Newark and Heathrow. 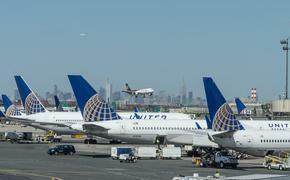 The airlines unveiled the new schedule after the U.S. Department of Transportation granted their partnership antitrust immunity. Citing consumer interest, the DOT approved a joint venture that will offer more flight choices for British and American travelers. Combined, the two airlines will operate a total of 32 daily nonstop flights between North America and the U.K., including 24 flights between London-Heathrow and such U.S. destinations as Los Angeles, San Francisco, Atlanta and Washington D.C. The partnership also means that SkyMiles and Flying Club members can earn and use miles and points on each airline, while Premium customers have reciprocal access to airport lounges. In addition, business-class passengers receive priority check-in and boarding, baggage handling and additional baggage allowance on all Delta and Virgin Atlantic flights worldwide, including those outside the codeshare. More product enhancements will be announced later in the year.